315 East George Washington Blvd. 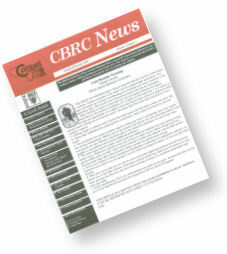 The CBRC News is the official newsletter of Cornbelt Running Club, a non-profit organization dedicated to promoting running, walking, and fitness in the bi-state (Iowa and Illinois) area. The publication enjoys an outstanding, reputation with its advertisers and readers. The circulation is approximately 1,000 households and business, numbering about 1,200 members. It is the publication that area runners and walkers look to for information about the local fitness community. Black and white camera ready artwork. Hard copy and disk comp preferred. Spot Color (red only) available, add $50.00 to above rates. CBRC will typeset your ad (including logo, text, clip art) for a $25 fee. Additional preparation for non-camera-ready work will be subject to a fee of $25.00 per hour, minimum charge is $25.00. Space reservations are due by the 1st of the month prior to publication (e.g., May 1 for the June issue). Artwork is due by the 7th of the month prior to publication (e.g., May 7 for the June issue). New advertisers will be asked to pay in advance until credit is established. Advertising is billed within 30 days of publication, and is due and payable within 30 days. Rates shown are non-commissionable. Cancellations must be submitted in writing and received prior to the closing date of the issue in which the ad is scheduled to run. No refund of payment will be made after the deadline dates. Cornbelt Running Club reserves the right to determine the appropriateness of any ad. If an advertisement is determined to be inappropriate, the Editor shall contact the advertiser and endeavor to develop an advertisement that is acceptable. If no acceptable alternative advertisement can be developed, the advertisement will not appear in the CBRC News; and any payments made by the advertiser shall be returned. Acceptance of an ad does not imply endorsement of the product or service in any way. All questions should be directed to the CBRC News Managing Editor Barb Arpy at Jimbar@mchsi.com.